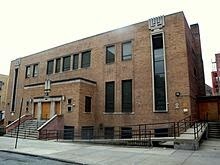 I love the beis hakenesses of KAJ in Washington Heights. It's such a dignified, sensible, and attractive building. It really is outstanding and it sets the right disposition for tefilla. Here are some photos. Click on photos to expand.